The parliament of Belarus has approved a decree "on the prevention of social dependency" that obliges citizens to pay an annual fee of about $250 if they are not employed. "It's necessary to stimulate citizens who are capable of work and ensure they fulfil their constitutional obligation to take part in financing state expenditures," the parliament said in a statement on Wednesday. The measure passed by a 100-2 vote. The decree isn’t aimed at "filling the state budget with money," but at "making an individual involved in financing public spending," said the country’s Minister of Labour and Social Protection Marianna Shchetkina, as quoted by TASS. Shchetkina stressed that the decree is temporary. The minister has also said that the terms of the decree are based on the constitutional obligations of citizens to take part in financing public spending by paying taxes, duties and making other payments. The law however doesn’t specify how citizens with no income should pay the annual fee. The measure was originally introduced by President Aleksandr Lukashenko who signed the decree "on the prevention of social dependency" on April 2. From now on both citizens of Belarus and foreign nationals permanently residing in the country who don’t participate in financing public spending, or do it less than 183 days during the tax year, must pay a fee of about $250. Disabled people, retirees and those with young children are exempt. While Belarus's official unemployment figures are very low, about 25 percent of the country's potential workforce isn't registered as having a job, suggesting many may be working off the books and not paying taxes, AP reports. 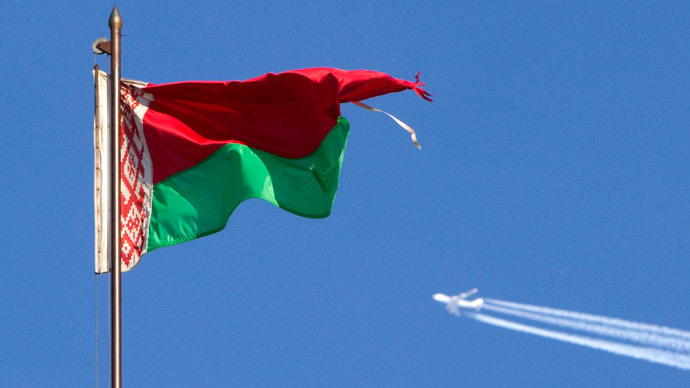 According to a 2014 World Banks study, nearly half of Belarus' gross domestic product was in the "shadow economy." The subject of 'parasitism’ has recently been brought up in Russia. The Legislative Assembly of Saint Petersburg has proposed a sentence of correctional or forced labor for a period of up to one year for evading employment for more than six months. In April, it was reported that lawmakers were planning to introduce a package of amendments to federal laws. The State Duma has promised to consider the initiative at a meeting of the Committee on Labor, Social Policy and Veterans Affairs. The representatives of the committee said that the project is aimed at increasing state tax revenues.